In order to preserve and strengthen the growth and vitality of a community of faithful appropriate juridical and hierarchical structures are to be created which could then better take care of the overall developments of that community. In many cases, dividing a bigger entity into smaller units would ensure better growth and faster development. The eparchy of Mananthavady which was erected by His Holiness Pope Paul vI of happy memory on 1st March 1973 by bifurcating the present Archeparchy of Tellicherry, has in about 37 years made great progress in all aspects of pastoral care of the faithful entrusted to its care and evangelization of people in area set apart for it. 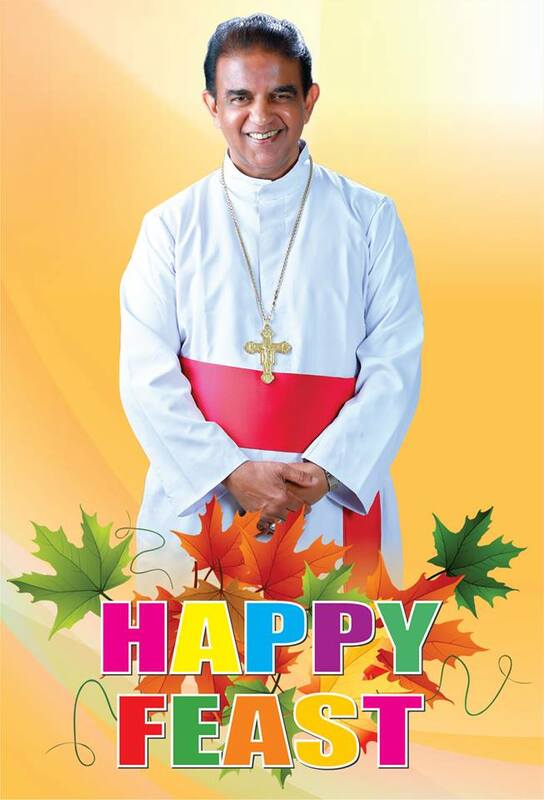 Ably guided and nurtured through much of its period of growth by Emmanual Pothanamuzhy CMI, who built upon the foundations laid down by his predecessor and by the present bishop Mar Jose Porunnedom, who continued the efforts of his forerunners, the eparchy of Mananthavady, spread over a territory of 48250 Sq. Kilometers in the three Federal States of Kerala, Karnataka and Tamil Nadu, has achieved remarkable progress in all areas of apostolate. However, the great distance from the eparchial headquarters, the geographical, linguistic and cultural differences and the differences in the nature of the apostolate undertaken have necessitated a bifurcation of the eparchy of Mananthavady to ensure further growth and development of the various regions that constitute the territory of the eparchy of Mananthavady. 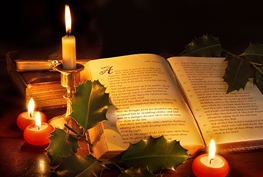 With this in view, successive Synods discussed the proposal of the Local Ordinaries of the Eparchy and the XIv Synod (2006), Session 1, gave its approval for the proposal of the division of the eparchy of Mananthavady and the erection of a new eparchy by name Bhadravathi and two exarchates, namely Mandya and Narasimharajapura. The Holy See, through its letter dated 25th January 2007, erected the eparchy of Bhadravathi. Although the Holy See did not favor the erection of the two eparchies, it did not object to the creation of a new eparchy comprising the remaining territory of the eparchy of Mananthavady in the state of Karnataka. Therefore, the Synod of Bishops of the Syro- Malabar Church in its session held in August 2008 discussed this matter again and decided to propose the erection of an eparchy comprising the four civil districts of Karnataka, namely, Mandya, Hassan, Mysore and Chamarajnagar with its See in the city of Mandya in the civil districts of Mandya while transferring one civil district, called Chickmagalur, that lies on the extreme north of the eparchy of Mananthavady to the eparchy of Bhadravathi taking into consideration the great distance from this area to the new Episcopal see of Mandya and which is about 150 kms away from the district of Chickmagalur and its closeness to the Episcopal see of Bhadravathi which is only about 60 kms away from it. 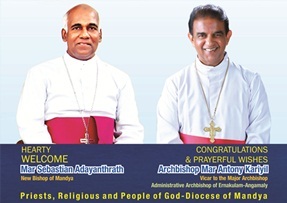 Therefore, after due consultations in various forum and after having obtained the consent of the Synod and the Assent of the Cardinal vithayathil, the Major Archbishop of the Syro-Malabar Church, by virtue of the authority vested in me and in accordance with CCEO c.85..1, hereby erect a new eparchy Mandya, by carving out from the territory of the eparchy of Mananthavady, the territory comprising the four civil districts of Karnataka, namely, Mandya, Hassan, Mysore and Chamarajnagar, having its See in the city of Mandya in the civil district of Mandya, with its boundaries co-terminus with the boundaries of the same civil districts mentioned above. It is also decreed that the See of the new eparchy and the residence of its bishop shall be in the town of Mandya. By the same decree Infant Jesus Parish Church, Hinkal is raised to the status of the Cathedral of the new eparchy. Moreover, both the new eparchy and its bishop shall be subject as suffrages to the Metropolitan See of Tellicherry and its Metropolitan. The administration of the eparchy and the rights and privileges of the priests and faithful in the eparchy and the like are to be governed by the provisions of the Code of Canons of the Eastern Churches and the particular law of the Syro-Malabar Major Archiepiscopal Church. This decree is given in perpetuity for the faithful adherence and loyal observance by everyone concerned with the matter dealt with in this decree. 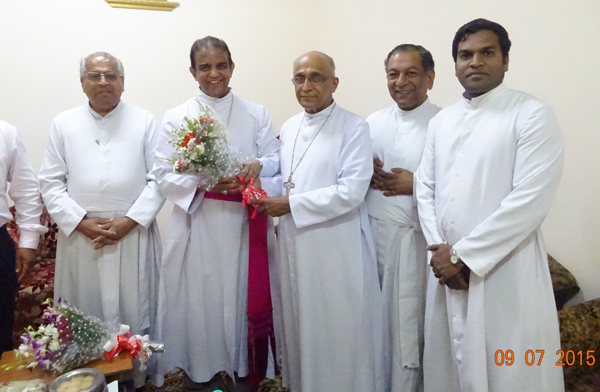 Given at Kakkanad from the Major Archepiscopal Curia of the Syro-Malabar Church at Mount St. Thomas on 18th day of the month of January in the year Two Thousand and Ten.